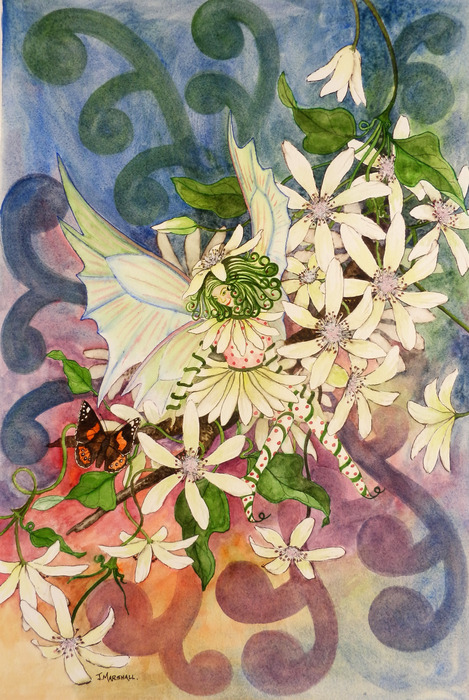 I am a New Zealand artist/author specialising in birds, botanical and portrait paintings. This site has my stories, paintings, an art gallery and information on birds. 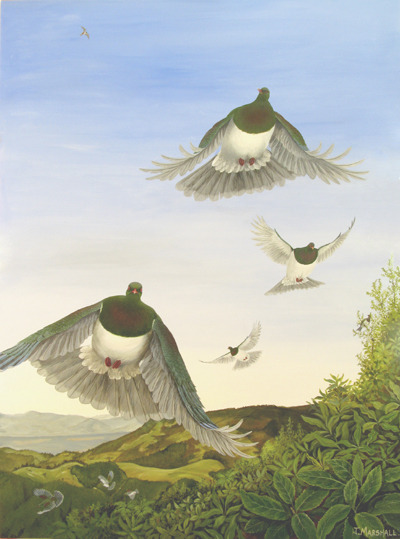 I am author/artist for 10 books, including 5 x children's books and my paintings are represented on 14 NZ stamps including 2 x NZ Game bird habitat stamps. 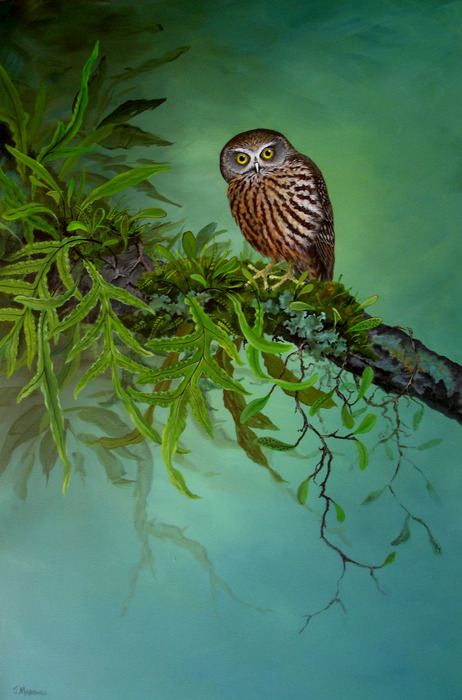 These are some of my latest bird paintings. I work in gouache, watercolour, acrylic, ink and wash and pencil. This is an acrylic on canvas painting of the NZ pigeon Kereru. 120 x 90cms. 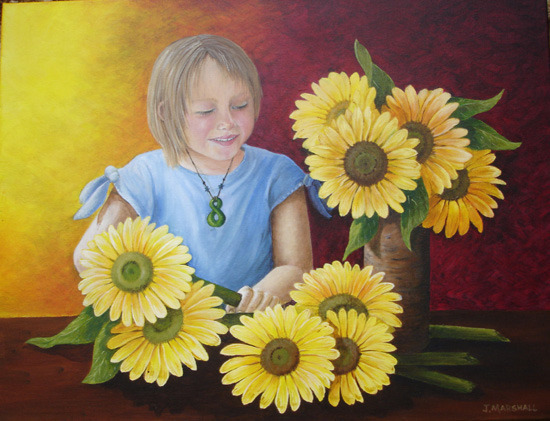 The painting is taken from a view from my garden, Takaka Hill, top of the South Island of NZ. 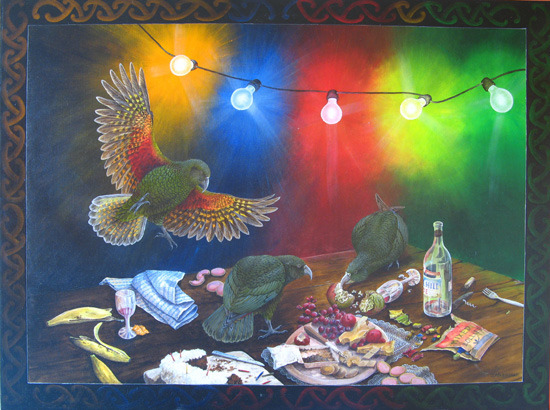 This is a painting of the NZ alpine parrot, the Kea. Taken from a view from my garden in winter. 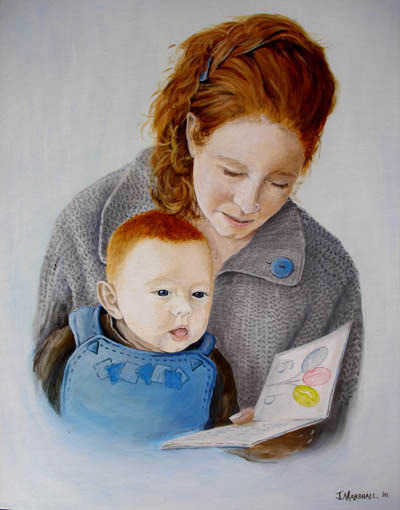 The painting is 120cms x 90cms and is acrylic on canvas. This acrylic on canvas painting is 120 x 90cms and was taken from a view from my garden. 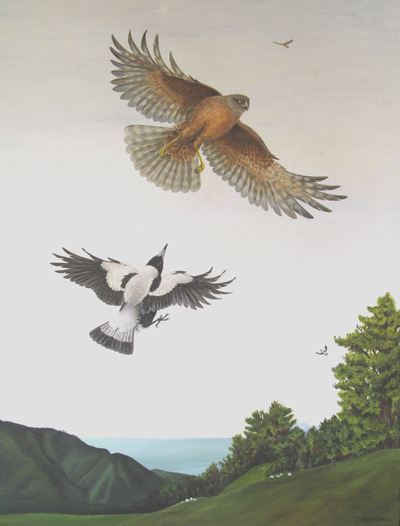 It depicts the Australasian harrier being mobbed by a magpie. 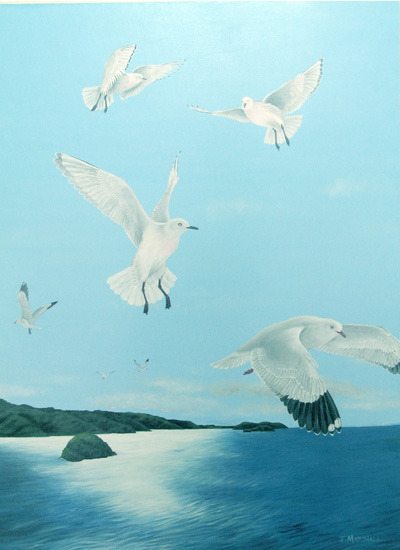 An acrylic on canvas painting of NZ gulls. 120 x 90cms. An acrylic on canvas painting, 100 x 75cms. 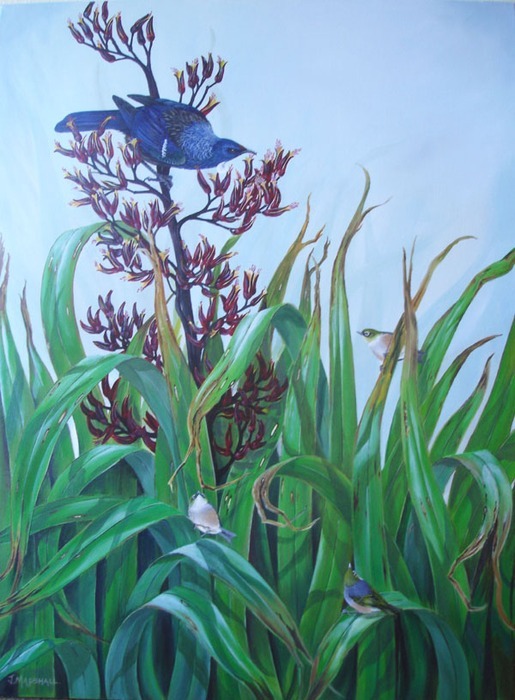 This depicts the NZ honey eater the Tui with waxeyes on a flowering flax plant. 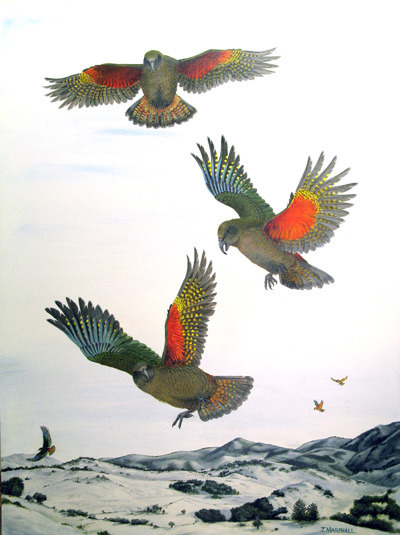 An acrylic on canvas painting of NZ alpine parrots/Kea. 120 x 90cms. 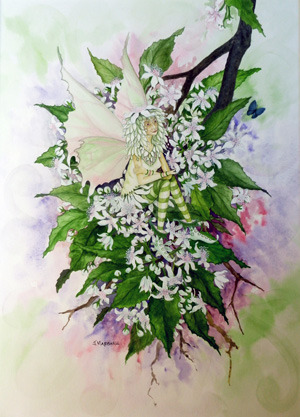 These are some watercolour paintings of NZ flower Faeries. 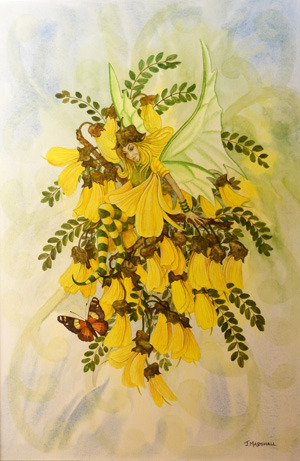 Watercolour on watercolour A2 paper of the NZ Kowhai Faerie. 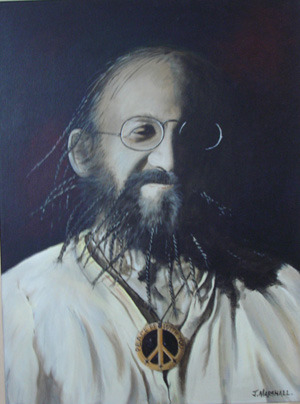 These are some of my portrait painting painted in acrylic on canvas.